This week’s respondents are Nick Doran, Nick Carrington, the inimitable Mary Beth Ellis, and Chad Dotson. Our Daily Reds Obsession: Which particular Reds team was your favorite? Nick D: I was too young to remember the Big Red Machine days, so I will take the 1999 Reds team that won 96 games and missed the playoffs after losing a frozen tie-breaker game to the Mets at Riverfront. The lineup featured Barry Larkin, Sean Casey, slugger Greg Vaughn, Mike Cameron , Aaron Boone, Dmitri Young and Pokey Reese. The pitching staff was cobbled together with the likes of ace Pete Harnisch, Brett Tomko, Ron Villone, rubber-armed Scott Sullivan, Denny Neagle, Rookie of the Year Scott Williamson and closer Danny Graves. The team had a lot of personality and a contagious joy both on and off the field. They had a losing record the year before but everything fell into place and that 1999 team was one of the best squads Cincinnati has fielded since the glory days of the 1970’s. Nick C: The 2012 team was my favorite. They were loaded with talent and blessed with healthy pitching until the playoffs. Recent teams have made me appreciate the 2012 Reds more. Every night, I thought they had a chance to win because of the rotation. The Reds had four guys throw over 200 innings that year. ThatÃ¢â‚¬â„¢s remarkable in light of where the Reds rotation has been since. The offense wasnÃ¢â‚¬â„¢t bad either. Four guys had at least a 120 wRC+. 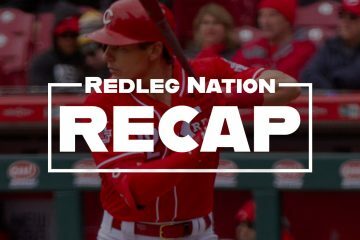 Jay Bruce belted 34 homeruns, and Joey Votto, even with his injury, hit .337 with a .474 OBP. If Votto was fully healthy for the playoffs, I wonder if the series with the Giants would have been different. It only takes a swing or two to make a difference, and Votto swings are the best. Mary Beth: First I typed the 1990 World Series team, then I erased it, because, as Chris Sabo so eloquently pointed out, they got the money. Then I typed the 1984 team, then I erased that too, because such pain must not be mocked. My favorite team is in my favorite corner of the Reds Hall of Fame -Ã¢â‚¬â€ the 1999 one-game playoff wonders. I will forever thank whoever thought to snuggle them into the corner of Glory Days gallery, next to all the World Championship trophies and rings. When I worked there, I always gathered school tours around me and told them about this team which lost. But before they lost, they did an awful lot of winning when no one expected them to. Chad: How can I choose? I love them all equally! Even the 2003 team, which lost 93 games and was an abomination to the ancient sport of base ball, had some great players to watch, like Barry Larkin, Adam Dunn, Junior Griffey, and Stephen Smitherman. Aaaahh…who am I kidding? The wire-to-wire 1990 Reds are my favorite. I say 2012 was fun. Although they did soil themselves in the NLDS to the Giants. They were a great team, only reds team other than 1990 that just played to the situation all the time. Cueto injury was like Kenyon Martin or Dalton in 2015, just a nail to the heart. 1973 Reds. Fell behind Dodgers by 12 1/2 or so games around July 4th and then played every game like it was the 7th game of the WS till they caught them in September. Unlikely contributors, never say die attitude in every game. I particularly recall 2nd game of a DH in Atlanta where they came back from 5-6 run deficits 3 times before winning the game. Pete Rose beat out a gb to second base with 2 out in the 9th the tie the game. That was the 73 Reds. That was the year Mets fans threw batteries at Pete during the playoffs. Couldn’t hit Matlack or Koosman. Against Matlack in game 2, had 2 hits, both by Andy Kosco. Game 3, Grimsley gives up 5 in an inning and 2/3. I can still remember the radio turning on in the morning, and the first thing I hear (1975) is World champion, World Champion. It was sweet. (Folks sent me to bed with the Reds down by 1). Technically I was alive when the reds won the 1976 world title (I was born 9/30/76) so I guess I could say that team/BRM. But I obviously didn’t see those/that team(s) play. So I’ll go with the only reds team that I saw play that DID win a WS title…the 1990 Reds. Ditto. 1990 was as magical as it was completely surprising. Few saw it coming. Even fewer thought they would maintain the lead and even less sweeping the vaunted As in the World Series. It doesn’t get much sweeter than that. Half of MLB franchises would kill for a season like that in their history. I still had my “How Sweep it is” T-shirt with Jose Rijo on it up till a few years ago. I might still have it, not sure, have to pull out the stuff from bottom drawer. Oops, just said sweep on it. Search google images for Jose Rijo Sweep t shirt. It saddens me that any Reds fan born after 1990 has not seen this team win a world series championship. The only 2 WS that the reds have won during my lifetime have been sweeps. I don’t know what I would do if the reds ever went 5 or more games to win a WS. I might just go bonkers if the Reds ever LOST a WS!!!! Too horrible a thought. Gonna put it out of my mind. Yes 1970 and 1972 really hurt. IMO, ’70 team got beat by a better team, too much pitching. The ’72 team, that one hurt, I’ve never forgiven Bobby Tolan for game 7, I didn’t sleep all night after that game/series. The 2012 team by far. That winning streak was fun. I was on a study abroad in Mexico during it. I remember logging in to get the recaps and occasionally tracking it live. Then I drove from Salt Lake to SF for Game 1. It was a blast. Then my heart was broken. The 99 team was good. I was a little too young to appreciate it. I was Al Leiter light up the Reds (or shut down the Reds) on the hill. I was so frustrated. I went with a friend’s dad. The dad reported to my mom that I needed to learn some manners, etc. b/c I was quite vocal (in a negative way). I was just so frustrated at that game. As a 9 y/o, I didn’t know how to express myself in a healthy way. Forgot to mention that Reds also hosted the All-Star Game that year, Sabo was Rookie of the Year, and Browning threw a perfect game. And Danny Jackson should have won the Cy Young Award. Danny Jackson was AWESOME that year. Only a Hershiser 56 inning scoreless streak stole the Cy Young. So sad. On a plus note, I was in high school and called the Dodgers in 5 over As before it started. All my homeroom friends were sure the As would take ti scoring 10 runs every game, but as usual, always go with good pitching beats good hitting. Add in Gibson memory, one of the best MLB moments ever and timely hitting from Mickey Hatcher and Mike Marshall types and Dodgers smoked em. Sorry to talk about Dodgers, I was always rooting for ANY NL team in the WS, pre-interleague play. Now I find it less exciting sadly. I miss the leagues being separate, but FA made it kind of interleague anyway, so I see why they did it. I’ve got a soft spot for the 1999 team because it seemed to harken a new awakening from a multi season funk like the Reds are currently caught up in. But I also feel an urge to speak for seasons long past. However the BRM teams, the era of my early 20’s, would be too obvious of a choice. I’ll go with the team of my early teenage years instead, the 1961 National League pennant winners. The 1961 team won 93 games (of 154, .604 winning percentage) as a follow on to the 1960 team which had lost nearly as many (87; .565 losing percentage). None of the eventual Machinists had yet arrived; but Frank Robinson was in his prime and Vada Pinson at the tender age of 22 was in his third full season. An emerging Jim Maloney at age 21 joined Jim O’Toole and Joey Jay as pitchers that folks may remember from later on. And if you never heard the Ol’ Lefthander lament the fact, 1961 was the only year in his MLB career he was not with the Reds at least part of the season. 1999 was such a flawed team, but somehow made it interesting. I loved them but in a bad news bears way. 1976 when the Reds swept the Yankees in the World Series. That was payback for the NYY’s defeat of the Reds in the 1939 and the1961 WS. With no expectations going into the season and then wire-to-wire…the 1990 team will always have a strong place in the heart of this Reds fan as the favorite, but the 1961 team lead by Hutch was the first WS experience for the Young Cossack and propelled me into a decades-long experience of living and dying with the Reds. I have to go with the 90 team even with the fast start was unexpected and had no right beating much less sweeping Oakland. I was too young to appreciate the BRM year’s. The 99 team would be a close second and wish we could rewind back and not trade Mike Cameron for Jr and if the fortunes of the early aughts would have been different. 2006 team: This team was a breath of fresh air after the horrid teams of the early 00’s. Suddenly, Griffey was healthy and put up decent numbers. Brandon Phillips and Bronson Arroyo burst on the scene and suddenly the Reds had some real playmakers after stagnating for so long. 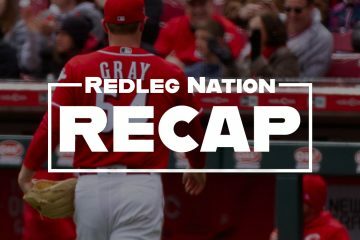 The summer was a lot of fun to watch as we Reds fans felt vindicated: “They have the offense, if only they could get the pitching….” Arroyo, Harang, and Claussen gave the Reds hope, and when they made THAT trade to bring in bullpen help, you hoped that was finally going to push them over the top. Sadly, they faded down the stretch, but boy it was a fun summer, even including the intrigue of “The Trade”. 2010 team: From the Dusty Baker years, a lot of people seem to prefer the 2012 team, but to me the 2010 team was more fun to follow. In 2012, after getting Choo, it kind of had an air of inevitability about it. 2010 was where a young team suddenly came together and started winning (shades of 1999). There was a series with the Cardnials late in the season which was supposed to make or break the team, and if I remember correctly, the swept the Cards. It was surreal to see our Reds playing and beating good teams, and of course, who can forget the absolute thrill of Bruce’s homerun for Clinchmas? Granted, they got dominated by Halladay (RIP) and showed they weren’t quite ready for primetime, but, just like 1999 and 2006, boy was it a fun ride. 1961. IÃ¢â‚¬â„¢m old. It was the first year I paid much attention to baseball. The years before weÃ¢â‚¬â„¢re not hapless, but not good either. Following that team was an everyday thing. They won the NL Pennant and cemented my love of Reds baseball forever. 1964 was an exciting year also with the Reds, Phillies and Cards in a close finish. The Reds and Phillies finished in a tie for second place, each one game out with 92-70 records. The Cards won and took the WS. The Reds had an outstanding pitching staff with Joey Jay, Jim Maloney, Jim O’Toole, Bob Purkey and others. Young Pete Rose and Tony Perez were on that team, and Vada Pinson and Frank Robinson had great years. The Reds also lost their great manager, Fred Hutchinson, that year. Don’t forget Cool Billy McCool and Sammy Ellis. 1990. So unexpected, yet glorious from Findlay Market to Oakland and back home again. When Eric Davis homered off Dave Stewart in the first inning of game one to set the favored A’s on their heals I knew the miracle would become reality. What a team, what a year. 1975. That’s a long time ago, but I’m a Reds fan because of Johnny Bench and the BRM. Growing up in western Massachusetts it was blasphemy to root against the Sox, but as a young catcher I did just that. And then they played what is arguably the greatest World Series ever. Bench, Rose, Morgan, Fred Lynn, Bernie Carbo and Jim Rice. And amazing, indelible moments like the Ed Armbrister (non) interference play, the most incredible game 6 ending when Fisk waved it fair over the green monster, and then Joe Morgan capped the comeback in game 7. Magic! 2018. The most exciting Reds team is always the one about to take the field. Except on Dusty Baker getaway Sundays. But that won’t happen next year so I can’t wait! I was 9 in 1990 and I felt from the first batter when Rijo struck out Henderson that the Reds were going to win. Ah, that 2012 team. They would have swept the Giants had Phillips not TOOTBLANed at third for the first out in the third game. And the first game . . . Cueto gets injured by pulling back a pitch when batter steps out of the box during the windup. Argh! He injured it before that, there was an interview with Arroyo where he talked about it. The Big Red Machine. It was waaaay past my bedtime when Fisk hit that heartbreaking HR to send it to a game 7. Other than the Big red machine, I would say the 1956 Reds that won 91 out of 154 games. That was frank Robinsons rookie year. Fun to watch. in Crosley field. I was four years old in 1975, but I still remember the Big Red Machine – the fever reached all the way down to the toddlers in those days. Magical. 1990, though…wowzers…being 19 years old and getting to watch your team go wire-to-wire and sweep the Bash Brothers and Eck? Paul O’Neill throwing out Canseco at third base…all the way from right field on a frozen rope? Unforgettable, baby! The 1994 team needs some love, Kevin Mitchell & Hal Morris had great years and were always fun to watch. Not that it’s their fault but the season was cut short by half. So not much to celebrate. Might as well vote for the ’95 team. Most of the same cast and they are the last Reds team to actually win a playoff series. 94 and 95 teams were very, very good. For teams that didn’t win the division, I got a lot of love for the 85-86 Reds. Those clubs had a weird mix of two generations of Reds clubs along with travelers from other big teams or guys that ended becoming managers, coaches etc. 2012. As Nick C. wrote, if only Votto had been healthy all year. Not only would the Reds have likely advanced to the NLCS (Games 3 and 5 of the NLDS had scenarios where one swing would have resulted in a Reds win), but Votto would certainly have gotten his 2nd NL MVP award. He was having a monster season up until he became injured and wasn’t the same when he returned. I don’t really remember the 1975-76 teams well. I was quite young. Only old enough to have vague memories. I was in the USAF during the 1990 season. I got to follow the team from afar and got to watch a good part of the post-season. Still, the attachment to a team you get from watching or listening to just about every game was missing. Therefore, they only get an honorable mention. The 1999 team was a lot of fun but I have a team in mind that I found even more fun. My favorite team was that 1995 team. They lost in the NLCS to the eventual World Series Champions, the Braves. I liked that team not only for the players but for what it meant to me that baseball was back. After the 1994 season was wiped out, I didn’t want to take baseball for granted ever again.